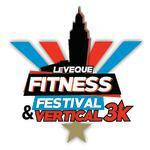 Columbus (September 26, 2017) – The LeVeque Fitness Festival & Vertical 3k, is a collaborative annual event launching on Saturday, October 21st. The goal of the event, in partnership with Atlas Community Partners and the Greater Columbus Sports Commission, is to showcase local athletic groups and fitness opportunities to athletes and non-traditional fitness fans in Central Ohio. The premiere event is a 3k run that ends by ascending 10 stories of ramps inside Columbus&apos; most iconic parking garage. The mid-levels of the garage will be filled with multidisciplinary athletic options including yoga, CrossFit, spinning and more. A rooftop celebration (overlooking the Scioto Mile and downtown Columbus) featuring local bands, food, and beverages will cap the event. The Greater Columbus Sports Commission has been a catalyst in transforming Columbus into one of the world’s best sports destination, hosting more than 425 new sporting events that have generated close to $535 million in visitor spending, while retaining annual events that have generated an additional $250 million to benefit our local economy. For more information, visit columbussports.org. The LeVeque Tower Parking Garage at 40 N. Front St., Columbus, OH 43215 is managed by LAZ Parking and has served as a very unique venue in the heart of downtown.